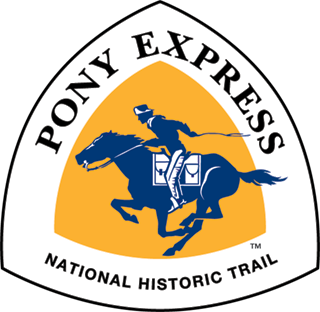 The Pony Express was founded, owned and operated by the freighting firm of William H. Russell, Alexander Majors and William B. Waddell. 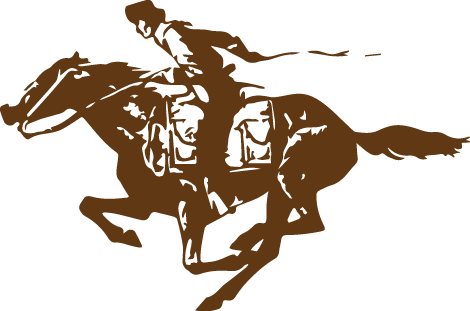 These men were interested in transportation and their reason for establishing the Pony Express was to prove that the central route was viable all year long and their interest in the government mail contracts. At the brink of the Civil War, California was thought to be thinking about secession and communication with the east was crucial. Though the Government made many false promises to the founders they believed that the Pony Express should keep on running. Russell, Majors and Waddell felt their obligation to their country and kept it running without regard to their own sacrifice and loss. They assured that California and her gold would remain in the Union. In March of 1862 the Central Overland California and Pikes Peak Express Company was sold at Leavenworth, Kansas to satisfy a mortgage held by Benjamin Holladay, who bought the property. In November, 1866, Holladay sold the equipment to Wells Fargo, a transaction which was the latter’s first connection with the long extinct Pony Express.